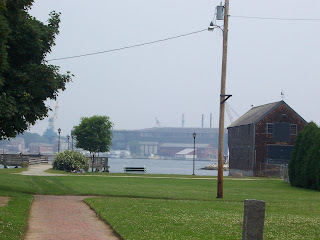 On June 15th we had our six-year wedding anniversary, and last weekend we celebrated it with a nice little trip to Portsmouth, New Hampshire. 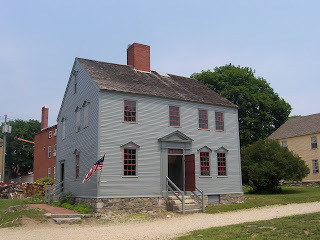 We left John in Massachusetts in the care of my mother and my sister Elizabeth and then we were on our way. 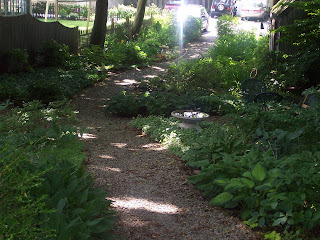 The Inn had lovely gardens out back. 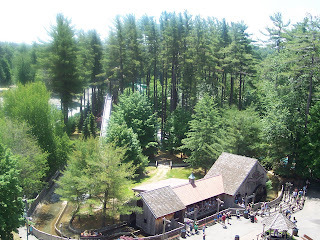 We spent much of Saturday at Canobie Lake Park, an amusement park in Salem, N.H. that I went to from my childhood days up through high school. It was great to be back there, this time with my husband. The only bad thing was that it made me miss John a lot when I saw all of the kiddie rides and the new waterpark for kids and I knew how much he'd love them. So we're planning on taking him there, probably next summer. I guess I shouldn't say that was the only bad thing. I made a poor choice and went on a circular ride at the end of the day and was nauseated for hours after. I had a feeling I shouldn't do it but I just wanted to try, thinking/hoping I wouldn't get sick. But apparently I can't go on fast circular rides anymore. With the exception of the nice, slow Ferris Wheel, they leave me way too dizzy and nauseated. I used to be able to do them just fine, so I guess it's a sign that I'm aging. My father is the same way, so maybe there's a genetic link. 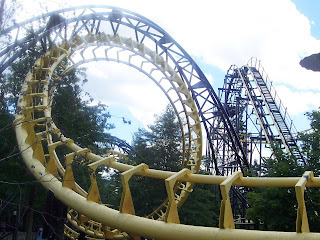 Thank goodness for roller coasters and non-circular rides! 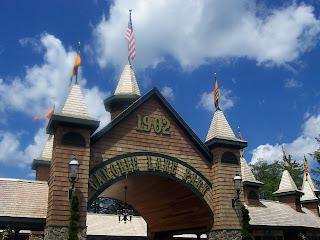 Canobie Lake Park is a lovely, clean, old-fashioned family amusement park. I nearly fell out of this roller coaster when I was a little girl. My Uncle Tommy was sitting next to me and he had to hold me in! I don't know what the ride operators were thinking letting me on it because I was just a tiny little wisp of a thing back then. 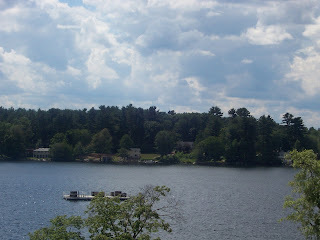 I love how the park is in the woods and right by a lake. I took this picture while atop the Ferris Wheel. 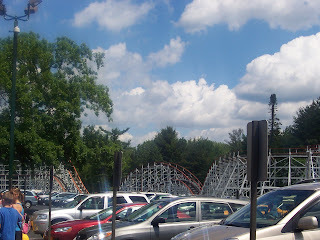 You can see the Log Flume, one of my favorite rides. This roller coaster was FUN. 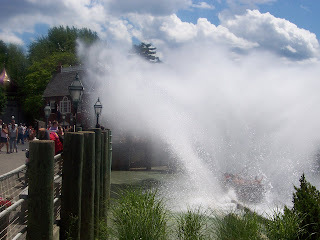 This is the HUGE splash that the Boston Tea Party ride creates. The water feels so good on a hot day. 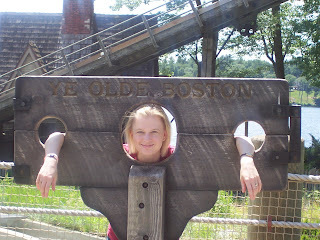 This is what happens to the bad girls. 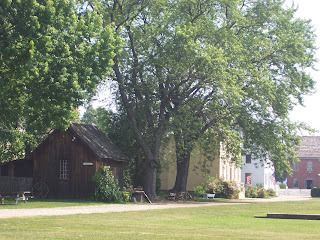 This was once the governor's mansion back in the 1800s. I like the widow's walk at the top. 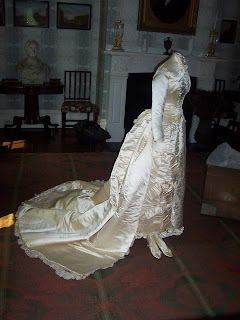 This is the actual wedding dress of one of the governor's daughters. She had her wedding celebration there in the house. 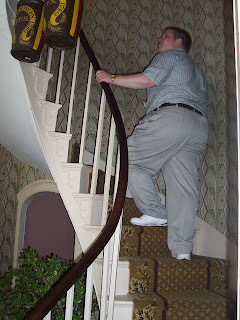 Ascending a classic steep spiral staircase. Watch your step Peter! 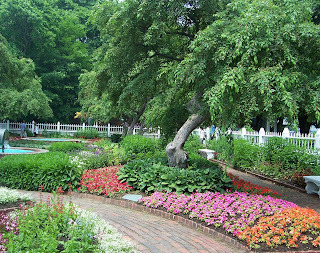 The flowers and gardens were gorgeous. 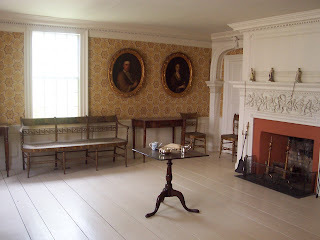 I liked how the wooden planks in the living room of this house are painted this light color. It really brightens the room up nicely. It's totally impractical when you think of things like muddy shoes, but that's not a problem here since people can't actually go in the room. 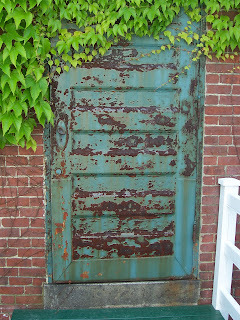 This door reminds me of The Secret Garden. Unbelievably steep! How in the heck did they walk up and down these things without falling? 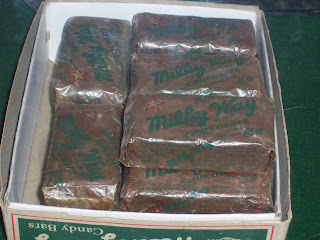 Milky Ways are one of my favorite candy bars. This is what they looked like during WWII times. 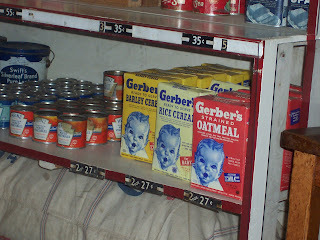 There was a cool 1940's shop set up with the products and prices just as they would have been back then. I recognize that baby! I wish those prices were still the same today. I really like the color and style of this house. My dream house might be this color. 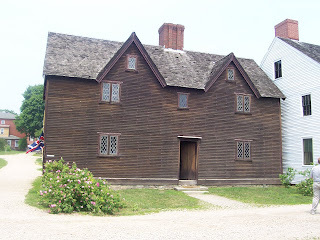 This is one of the oldest houses in New Hampshire, built in the 1600s. I can't believe it's still standing! Sometimes I really wish I'd lived back then. The seaport is right across the street. 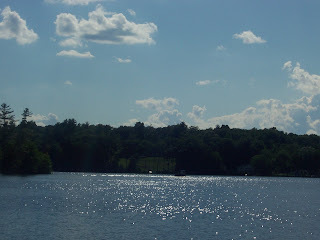 It was a wonderful weekend in a beautiful place! For the past week, I've had a large canker sore inside of my bottom lip that's been sucking the joy and normalcy out of my life. Canker sores hurt like heck! It's been making me miserable. It's amazing that, relative to the rest of the body, such a small little thing can have the big, awful effect that it does. It's difficult to talk and especially to eat because of it. I must have dropped a few pounds because when the pain is really bad (which is often) it's just not worth the additional pain that is caused by eating and drinking. Also, I feel guilty because I can't read books to John for very long or talk with him much because the pain is just too much. I can't go on much longer like this. I've been rinsing my mouth often with diluted hydrogen peroxide to clean the sore and using a pain-relieving Orajel medication, which helps numb the pain. For some reason, ever since my late teens, I get one of these about every other year, usually in the summertime. Maybe it's the increase in citrus fruits that I eat then. All I know is, this thing better be gone in the next day or so or I think I'm gonna die. 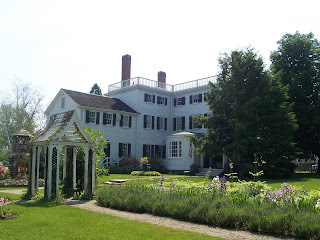 I'm going to go write about our New Hampshire trip now to cheer myself up and distract myself from the pain of this cursed canker sore. Oh, the price we sometimes pay for the animals we love. Two weeks ago, on Sunday, June 8th, I noticed that my cute little cat Brody who I love to play with was throwing up some liquidy stuff. On Monday, he was still doing it and he wasn't quite himself. By Tuesday I was pretty worried. He was still vomiting and he was just laying around, totally lethargic, and he seemed to be in pain when he walked (he couldn't really even run anymore). This was extremely unusual for normally active and mischievous little Brody. So I called the vet's office and they said I should bring him in that day, which I did, along with my little helper John. The vet found that poor Brody's temperature was 104 and rising, and that he was extremely dehydrated. His X-ray didn't give much indication as to what the problem was. I had to leave him there overnight so that he could get IV fluids and some pain-relieving medication. 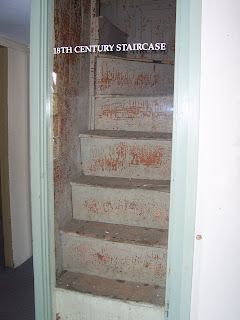 Later that day when I was at home, something told me to go down into the basement. So I went down and there at the bottom of the stairs was a small piece of blue gift ribbon, all shredded at one end. I'd been down there earlier in the day but if it was there I didn't notice it. This was the probable answer to the mystery of what was wrong with Brody. Unbeknownst to me, he'd nabbed a curly blue gift ribbon that John had gotten around a little gift at his preschool ceremony on Friday, June 6th, and he'd eaten almost all of it. That's a potentially suicidal act when you're a cat. I talked to the vet on the phone and told him what I thought it was, and so the next day, Wednesday, when Brody's condition still hadn't improved, he decided it was time to go in and do some surgery. Sure enough, there was the ribbon all bunched up and stuck in his small intestine. The poor cat! Fortunately the surgical procedure worked, and we were able to bring Brody home on Thursday evening. 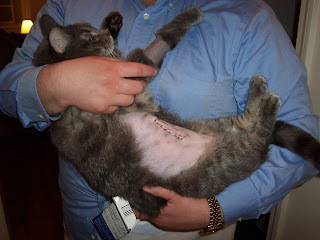 He still wasn't himself for a few days, and his stomach was all shaved and stitched and very sore for him. It made me keep thinking about my C-section and how painful the recovery was from that in the first few days. Recovery from abdominal surgery is no fun for human or, apparently, feline. 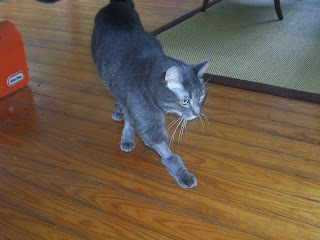 But after the first few days home he became much more like his usual self and seemed to be feeling a lot better. So he'll be fine, as long as he doesn't get into any more ribbons or things like that. We'll have to be very careful about that from now on! The cost of this innocent little gift ribbon turned out to be a whopping $1,300. But a beloved little kitty cat who is alive and healthy again? Priceless. 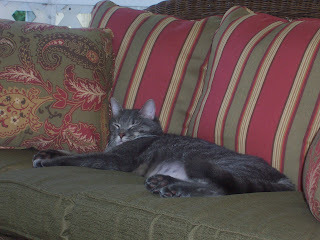 Brody, post-surgery and home again, with his shaved and stitched-up tummy. He has a funny little spot that was shaved on his leg for the IV fluids to enter. He looks like he's wearing a Michael Jackson or Madonna glove from the 80s. Ha ha! Last night was a thrill for native Bay Staters who have any interest at all in basketball and sports. The Boston Celtics won the NBA Finals for the first time since 1986 in thrilling fashion, beating the L.A. Lakers by 39 points in Game 6. The Celtics were once the powerhouse of professional basketball with sixteen championship victories, but since 1986 and up until just last season, when they only won 24 games, they had definitely lost their magic. For them to turn it around like they did and win 66 games this season and go on to win the Finals was amazing! It was the biggest turnaround in NBA history. It was even better that they won it in Boston, not in Los Angeles. 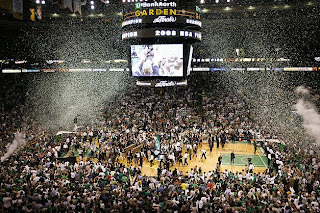 Boston fans are very good about supporting their teams, and when those teams win big, the fans know how to celebrate. Unfortunately, we haven't been able to celebrate in Mass. with our teams when our teams win because: 1) the Superbowl will never be played in New England unless the Patriots get a super-dome stadium there, and 2) the Red Sox have won their last two World Series away from home...maybe this year they'll do it at Fenway! That hasn't happened since around 1918. So the victory in Boston last night was awesome for many reasons. I used to like watching the NBA Finals when I was in middle and high school. I haven't really been into it since then, until this year. I'm not a big basketball fan, but this was a good series to watch and last night's win brought tears to my eyes. Perhaps its partly genetic because my mother and her family all lived through the Celtics heyday in Massachusetts back in the 60s, 70s, and 80s, and I've grown up hearing about those glory days with Larry Bird & Co. I hope the glory days are back for the Celtics like they are for the Red Sox. I might just have to take up an interest in basketball again if they are. One more bonus is that the team's general manager, Danny Ainge, is a Mormon. Go Celtics! Hello there, my peeps and loyal readers (all two or three of you. I love you guys!). 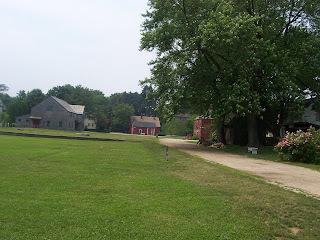 I have a number of things I want to write about on the blog, but not enough time to do it right now. I've been so busy this week, and I have a pretty busy weekend ahead too. So when I get some more time or when I need to procrastinate doing something or just when the blogging bug hits, I'll start posting more regularly again (don't worry, I won't deprive you too long). -Big Brown and the Triple Crown race on Saturday (I gave up watching horse racing this year, but I'm tempted to watch this race. But if I do it, I just know that something bad is gonna happen. I think I'll DVR it and if I hear after it's over that things went well, I'll watch. If not, delete. I want Big Brown to win and get the Triple Crown, which hasn't happened in thirty years, but even more than that I don't want any of the horses to get injured during the race. There, I wrote a blog post in a few short sentences!). -The FLDS/state of Texas debacle and why this crazy group should be disbanded as soon as possible by its own members. I've been feeling frustrated for weeks over these people. -Pictures of Peter's new desk (a vast improvement over the old one), my gardening and landscaping projects, and my in-progress makeover of our screened-in patio. 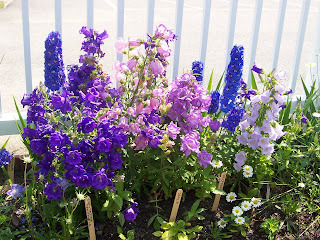 -Tomorrow is John's preschool recognition ceremony and I'll have to write a little something about that. -Some more dresses and skirts that I like. 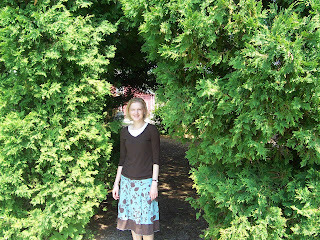 -My goals for the Summer of 2008, which I've gotten a good start on. One of the things is making a great difference in my life already. Stay tuned!